Prominent & Leading Exporter from Vadodara, we offer rotary coolers. We stand as one of the leading manufacturers of Rotary cooler for industrial as well as metallic minerals. The cooler is designed with energy conservation and waste heat recovery system. 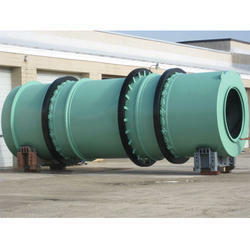 Best available raw materials are used in making these machines. Our state of the art production unit along with highly qualified technicians ensures perfect and quality performance of these machines. Our dryers are known for low fuel and power consumption and low maintenance. Looking for Rotary Coolers ?